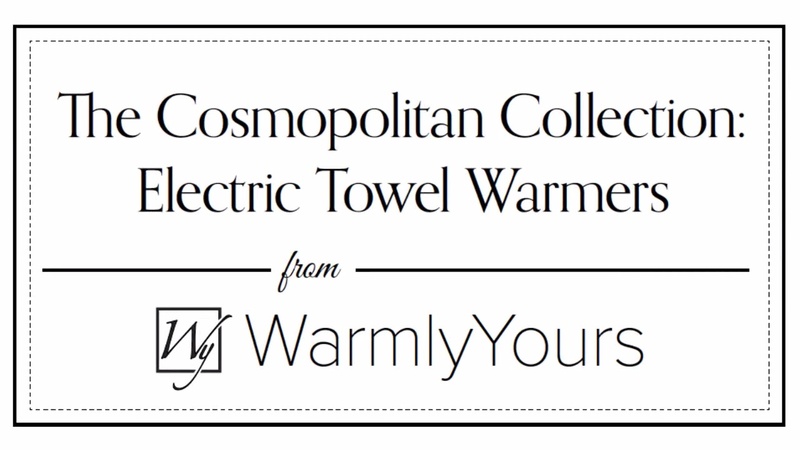 The Bellagio towel warmer from WarmlyYours is an impressive combination of functional design and timeless elegance. 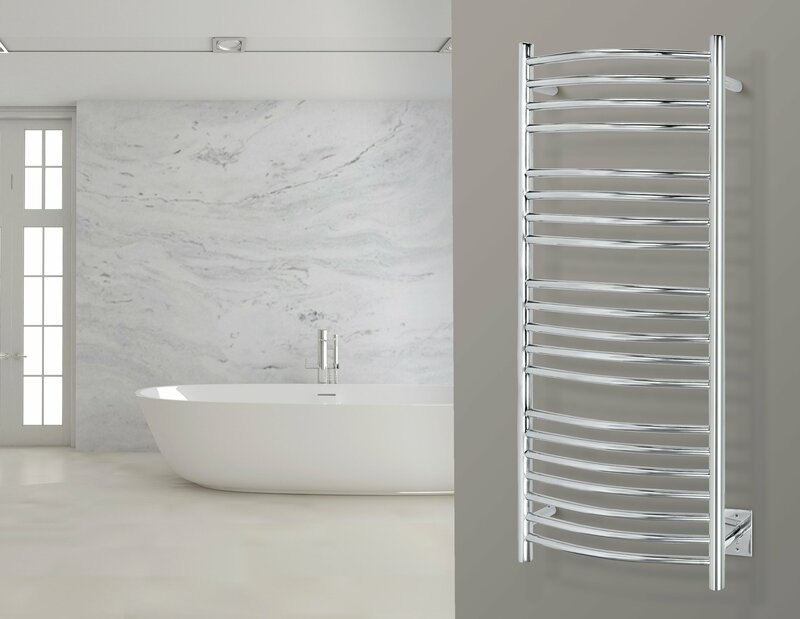 The 20 curved, heated bars of this model help it deliver a heat output of 648 BTUs per hour. 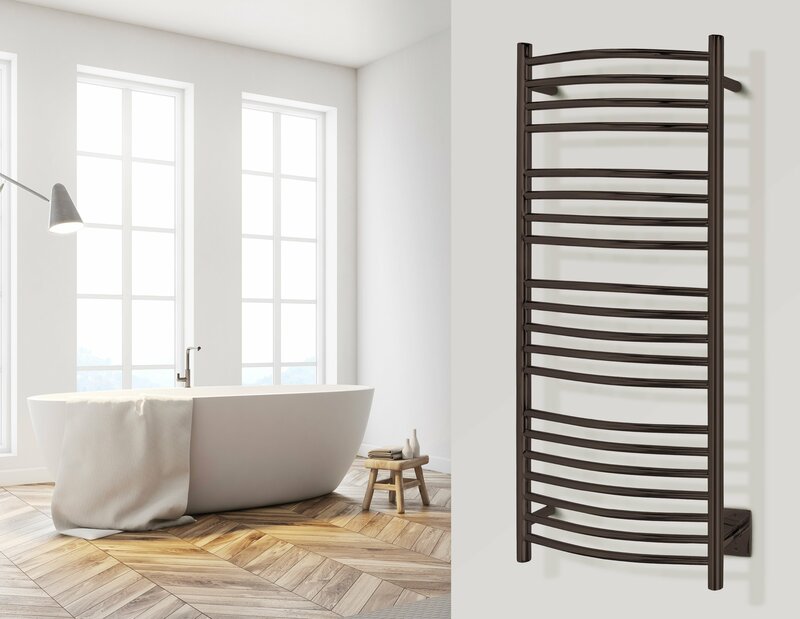 The unique spacing and number of bars of the Bellagio ensure that this model will be able to warm and dry a wide variety of towel shapes and sizes. The hardwired connection (120 VAC) of this model provides a streamlined appearance without visible wires or cords. This version of the Bellagio comes with a gorgeous oil-rubbed bronze finish and durable stainless steel construction. This model also comes with built-in TempSmart™ protection to prevent the unit from overheating.